The Modelling News: We compare and review the Zoukei-Mura Ta 152H-0 in 1/32nd scale. We compare and review the Zoukei-Mura Ta 152H-0 in 1/32nd scale. 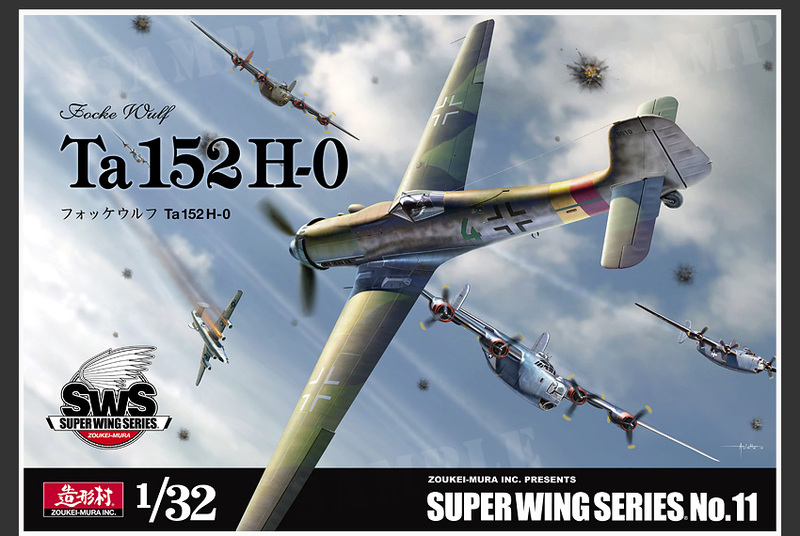 Today we review the new Zoukei-Mura kit of the Ta 152H-0 in 1/32nd scale. This is a partially new kit with some additions and some promised finer re-tooling from the model maker to their earlier Ta 152 H-0 release. It has been the subject of some chatter about the point of making such a close adjustment to an earlier model. How to review it? 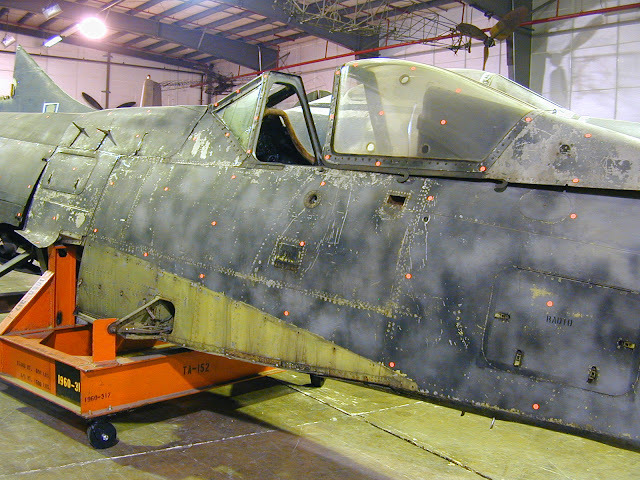 We decided to look at the original aircraft as well as the original Ta 152 H-1 kit to see if the changes are accurate and worthy of a re-tooling. The first Zoukei Mura kit I owned was the 1/32nd scale Focke Wulf Ta 152 H-1. I had heard a lot about this new company from Japan and comparisons of their early works were “Tamiya-esque" in their language. Although it was their second 32nd scale kit in their “SWS” (Super Wing Series) these expectations were a little high for a new venture into making a large scale aircraft kit. For the most part this kit (released 4 years ago)nearly met those high expectations. Some of the details I found were a little soft and the three coloured plastic put a lot of people off as well. One thing modellers do not want is for their kits to look like toys and I think that was a little of the criticism of this early kit. Three colours in the moulding of the plastic and some less than the level anticipated details with the "inside out" style of skeletal model left a few people saying this kit was a little like a toy. Still, up to now the ZM Ta 152 H-1 is the best Ta-152 in its scale and I have seen plenty of great looking and not at all toy like models made from this kit. What this kit did introduce to the mainstream is the fairly new concept of modelling the aircraft almost inside out. This was a bit of a revelation to a lot of modellers while some don't like it, thinking that the scale thickness isn’t accurate. 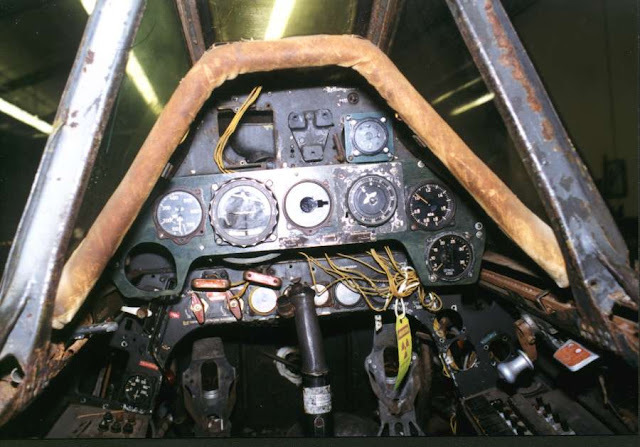 To me it is a step in the right direction because it shows the real internal workings of the plane which are pretty interesting to see. 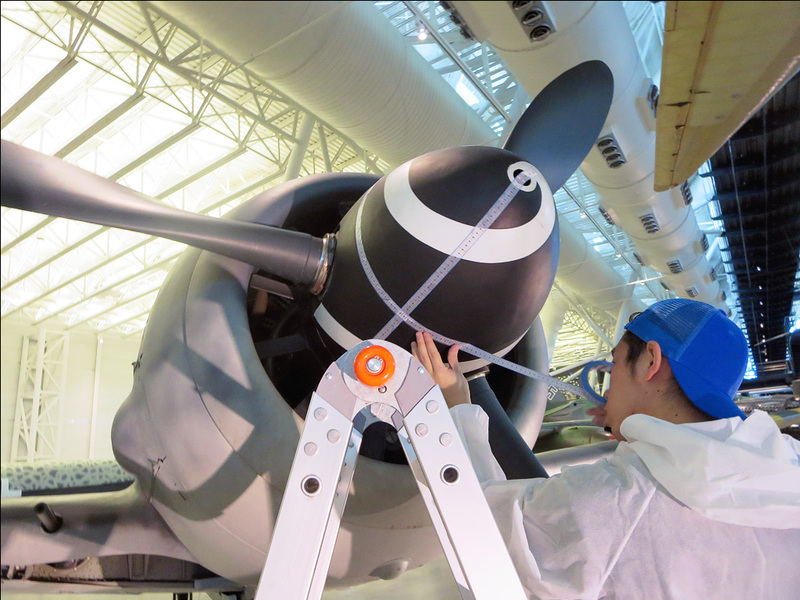 To accurately capture the Ta 152 H-0 aircraft Zoukei-Mura have done some extensive research which culminated with a group trip to the Smithsonian National Air and Space Museum in the US to see and measure the sole remaining Ta 152 H-0 airframe. The visit seems to have born a need to refine and create new parts to make this - the H-0 type of Kurt Tank's fighter. 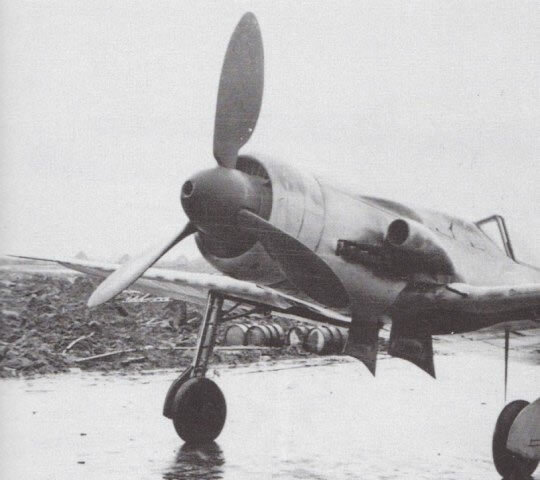 Just quickly before we begin this review, there has been much debate about the dimensions of certain parts and shapes of Luftwaffe aircraft that seems to have never been resolved and never will. It is this reviewers thoughts that you can never really get it totally right unless you have one at home to measure yourself. Drawings are more than not inaccurate and only the wingspan and length measurements really hold any water with me. Therefore I will concentrate on the kit and the comparisons to the NASM example with some pictures of how the kit has changed from SWS2 kit. To say that the H-0 and H-1 versions are very similar is an understatement ,as this kit is VERY similar to the earlier kit of the Ta 152 H-1 from Zoukei Mura – indeed the Ta 15 H-O and H-1 share many of the same components. 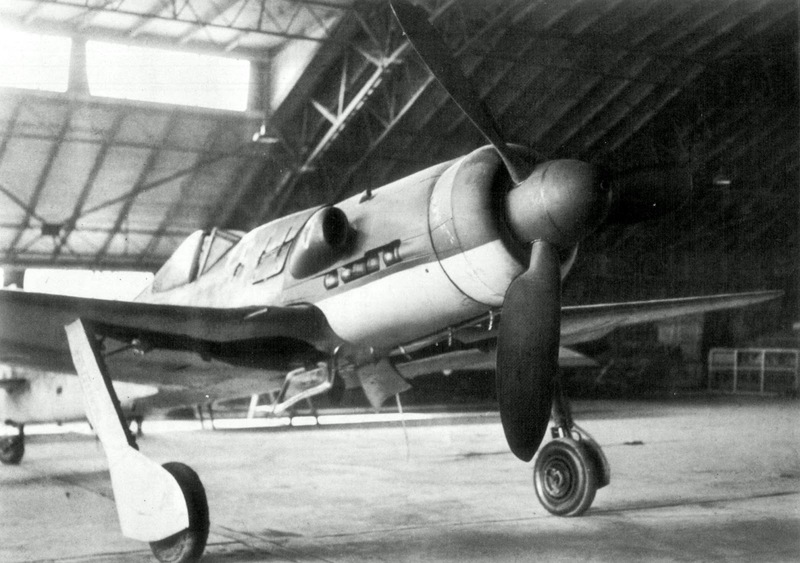 Total of 20 pre-production aircraft of which some did see service, It has the longer H-series wing (14.44 m (48 ft 6 in)) and no fuel in the wings with a revised radiator top cowl. & was armed with one engine-mounted Motorkanone 30 mm (1.18 in) MK108 cannon and two 20 mm synchronized MG 151/20 cannons in the wing roots, plus several other smaller changes. H-1 was the production version. 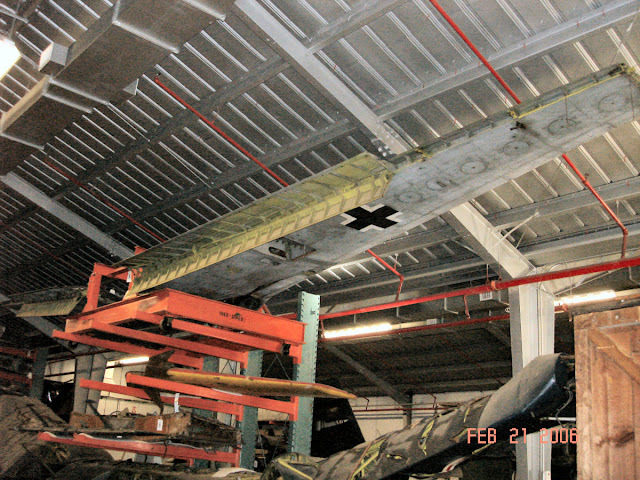 It had the H-series wing (14.44 m (48 ft 6 in)) It had six fuel tanks in each wing. Both marques used the Jumo 213E-1 enginebut the H-1had Internal powerplant improvements. The instructions of Zoukei Mura kits has always been one of absolute attention to detail and nothing has changed here. Partially because the same instructions from the H-I kit are used for this – the H-0 model. There are some changes that we will look at in a second. The H-1 instruction booklet is printed in colour with an effect that makes it look just like an old user’s manual from 40’s Germany. The writing is in a mixture of Japanese and English and good translation is evident here. German text in the headings are also left in the instructions to give it that authentic look and feel. The chapters are logically placed together and the panels are not jammed with too much information or pictures. There are also built up shots of the model in progress painted up and looking great. The steps are easy to follow and extremely clear. Added to this manual is the “H-0” instruction alterations. They are only a few pages long and it lists all of the changes to this marque so it is easy to follow but be aware of where the alterations need to be made before you take the model on. I would add some tabs to the original instructions so you need not miss an important step. The amendments are clearly laid out where to make the changes and what they are. More of the alterations when we look at the corresponding parts in this rebiew and colours at the end. Sprue A contains most of the parts of the powerplant of the aircraft. The Jumo 213E liquid-cooled inverted V-12 is here with a slight difference in two places. The brackets just near the exhaust manifold are about a millimetre thinner than the H-1 kit. Also on the main gear wheels which we’ll look at in a second. The landing gear is well moulded and although there is the slightest of seams on the main gear and some injection nodes the stalks and wheels are of a good mould quality and detail. You can see the wheels clearly here. You will see on this picture with the H-0 in lighter grey and the H-1 kit ( on the right in silver plastic) mainwheels show the detail and the brake line wire has been better defined here. This is a great improvement that negates the need for a better quality (and expensive) alternative at quite an exposed area on the model. Sprue B contains many crucial areas for a modeller’s attention, Propeller, engine mounts, Mk108 Cannon, MG 151/20 the central fuel tank, and the landing gear's tyres. 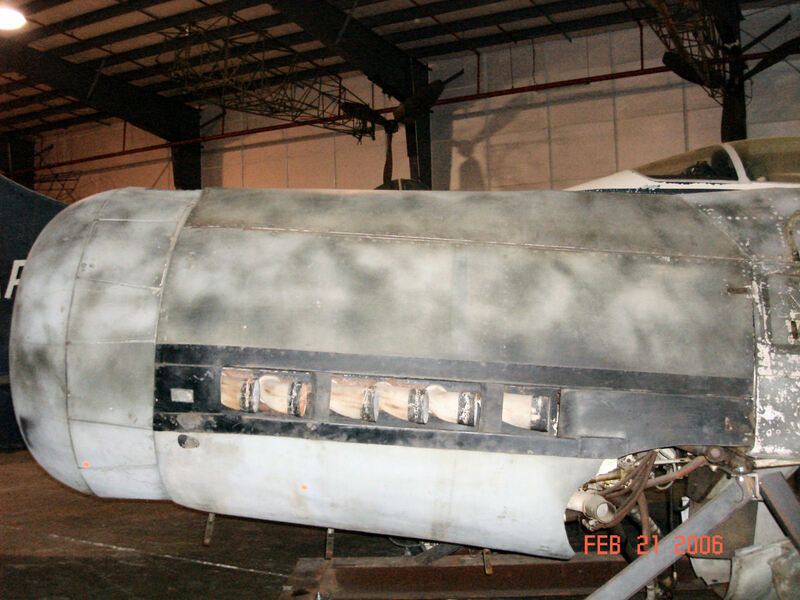 Built by Junkers, the three blade VS9 wooden propellers and axis are moulded as one here, I have added a picture of the original blades for comparison – not too bad an effort and you can see the twist at this angle on the paddle style props. Indeed ZM have promised that extra attention had been given to the pitch of the propeller angle in this kit. The shape is not unlike the H-0 prop you can see here. The exhausts are moulded hollowed out at the ends just like the NASM version – excellent stuff! In comparison with the H-1 kit (in black) when you compare them to the older H-1 Mould there has been a change there in the thin line between the exhausts. You won't see that once it is on the kit though. The tyres are separately moulded from the wheels which make painting easier but the lack of any real sag in the rubber might not be to some people’s likes. The small rear wheels are moulded in two parts down the middle with hub as well and the rear leg is also present here. The MK 108 Autocannon and MG 151/20's are pretty well represented here and the barrels have a hollowed out tip that is made with the aid of slide moulding. The internal fuselage tanks are afforded some realistic looking metal strapping to secure them. Sprue C is a busy one – with several parts of the central fuselage included. The angled wing spar section, pilot’s tub, fuel tank and several air cylinders with the pilot’s seats and importantly a detailed instrument panel. Now I cannot prove it and maybe it’s just the illusion of different coloured plastic – but the injection on this sheet seems ever so finely sharper in detail – there isn’t a “pissteenth” in it – but it just looks like the detail is less soft than the H-1’s sprue. You can see that this is a nicely detailed instrument panel – when compared to this H series panel it is pretty close on – the two layers are thin enough and the dials are produced on the decal sheet for you to use or if you are feeling adventurous you could paint your own gauges. Enough catchment is there to flood these with clear or future to get that gloss effect. Of course you could also use the clear panel alternative also given in this kit. The amendment in the add on instructions. The rear of the instruments are also provided on this completely new part of the tooling for you to insert your wiring into. This part is completely new to this tooling. More added value and another way of doing things. 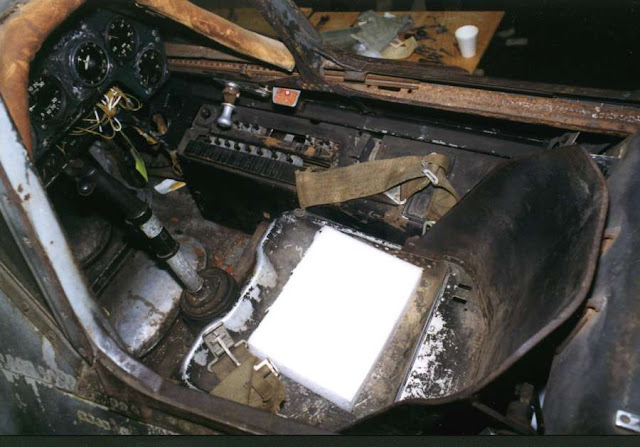 The two seat choices are represented – without seatbelt harnesses and with them, loosely laid inside the seat bucket. The wing structure is held in place by this one part spar structure here – very strong to hold those long wings at exactly the right angle to the fuselage. In part three of the instructions after you have built the fuselage the wings simply slide over this spar and then the whole part glues to the bottom of that fuselage. Sprue D contains a lot of the outside metal of this kite. The two mid fuselage halves, tail section and engine cowlings and supercharger intake as well as a new part again –the radiator grille for the nose. This is the other new part for this kit along with the sprue which with this runner is starting to show some difference to the original kit. The fuselage halves are very subtly riveted on this kit. There are some of the larger cylindrical rivets also down the side of the pilot tub which we all know are there. A very subtle job. The port side of the fuselage shows the radio port hole which can be shown open or closed. The FuG16 ZY radio is provided for those who want to show it. ...but this mould shows some adjustment from the H-1 kit which is shown here on top ( H-0 on the bottom in the lighter grey). The rivets are a lot deeper on the H-1 kit when you compare them next to each other..
You can see here by the comparison of the fuselage surfaces on the real thing. The Ta 152 was only subtly (and for the most part nearly invisible in 32nd scale) rivets. These are much less obvious in this kit and to my eye much more realistic compared to the real deal. 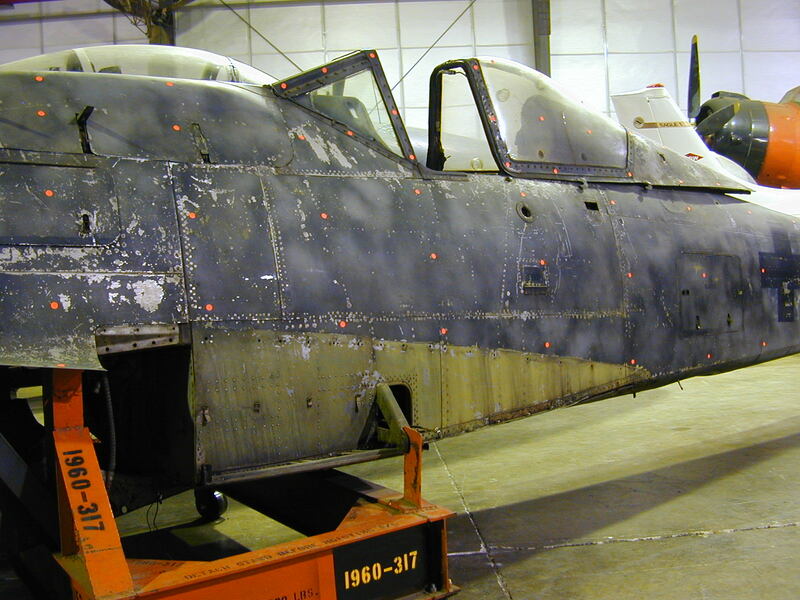 Here you see the two tails – the H-1 kit on the left and the H-0 on the right again – and notice the detail around the rear horizontal tailplane features raised instead of sunken rivets. Indeed this part did secure TO the tail rather than as a part recessed into it as the picture below shows. Cowlings are punctuated for the exhausts to protrude from as well as the side hole for the supercharger attachment. The two cowlings compared – the left is again the H-1 kit and the right cowl is the H-0 cowl. Although they are turned at opposite angles you can see the front fairing before the hole that the exhausts protrude from the original kit. This is not evident on the pictures of H-0’s that I have so this re-tooled part again fixes this problem. Lastly the new radiator louver that has been made especially for this kit. Slanted vents are nicely moulded in sharp detail. We are wrapping it up now as we get to sprue E – the rear under fuselage, the control surfaces, cowlings, gear doors and nose cover are all on this kit. On close examination with the original I do not think this sprue has indeed changed from the brother H-1 kit. Not in texture or parts. There is even the original H-1 radiator cover present on part E17. It’s pretty hard to see here – but both the top cowling of the engine and the gear doors have slight sink recesses in them. This is again exactly the same as the original kit. Shame this wasn’t fixed in this release, but 99% of people will never notice – there I have answered my own question on that one. The rear sides of the gear – injection marks aren’t very nice but the four holes in the gear doors help you secure them to the stalks. An important part of this kit – the radiator cowlings can be posed open or closed – this brings a different look to this kite pretty simply and I’m quite thankful of the inclusion. The cowling ring on the left hand side. The last of the grey sprues – this runner has the wing housing that fits neatly over the wing spars we looked at earlier. The wing root gun doors and position-able flaps ant ailerons as well as the wing root fairing. All of the parts in this sprue and the others fall at panel joints for ease of assembly. 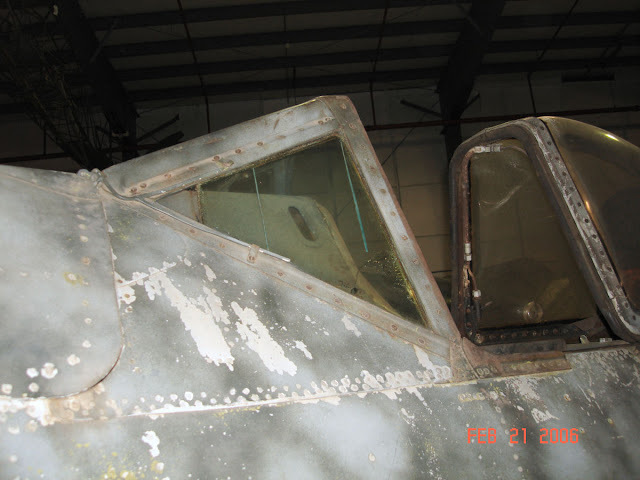 The Ta 152 H in the NASM collection has metal flaps as does this bird. You can see here the slight thinner nature of the ribs on the inside of this part (H-1 left) compared with the H-0 kit on the right we are looking at in this release. In fact some late Fw-190’s and Ta152s did have wooden flaps (Weserflug built Dora 13s we know were built with wooden flaps) - but as we can see in the picture below our H-0 reference from the NASM has metal flaps. 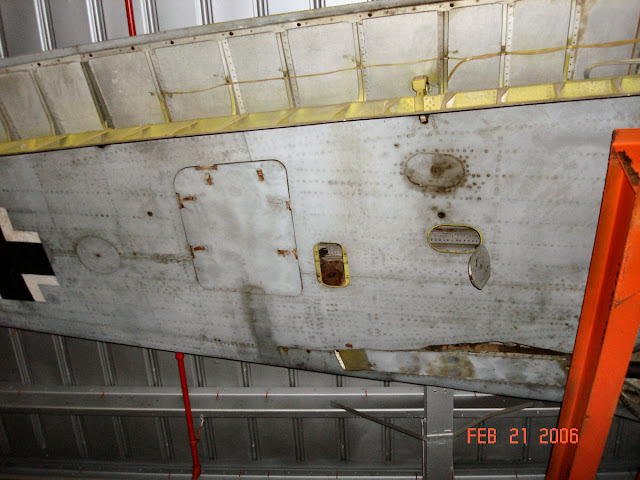 Wing roots cover any potential gaps on the kit and on the aircraft. H-1 on the left – H-0 on the right again – but this time unfortunately there are two ejector pin marks on the H-0 kit which will be very obvious if not fixed and if the doors are to be left open. The upper wing root gun bulges, the H-1 on the left & the H-0 on the right again – the finer rivet detail again obvious on this H-0 kit. H-0 on the top & H-1 on the bottom – the H-1 kit featured some exaggerated tail surfaces that have been addressed in this kit. H-1 on the left – H-0 on the right again showing the inside of the gear doors. The H-0 kit is more subtle in its detail again. A good picture showing the square access panel on the H-0 NASM version that isn't on the H-1 aircraft or kit because of the fuel in the wings of the H-1. The canopy has been re-designed with this new tooling to encompass a heated armorglass windscreen for bad-weather operations. This bullet proof glass with electro-thermal heater and the triangular side frame and glass are much close to the real thing. 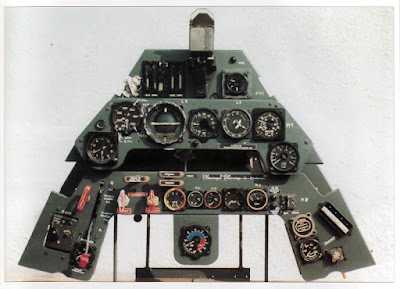 The instrument panel – clear here so you can mask the dials and then paint the panel with the decals placed behind them. It’s good to have this option that many people like and it provides some nice glazed effects. The clarity of the plastic is pretty good. The blown hood of the cockpit isn’t too much or too little in comparison with the real thing. Colours are called out in Vallejo colours and the standard RLM they were in when painted – but a shame maybe Mr Colour isn’t added as most aircraft model builders use this on the outside of the aircraft. You should be careful with colours because again the differences in the RLM Farbton is again open for conjecture and so these colours supplied in this guide might just be erroneous – no one knows for 100% sure so check your references and be prepared for someone to say “Used the wrong colour there”..
Two different options are included on this version of the kit for the H-0 version. It does not say where the aircraft was based or who flew it and nothing about it – so I could only say that this is an option rather than a scheme that has been researched until I am told otherwise. I would say that check and double check your references as there is a lot of conjecture around aircraft colours and markings at this late stage of the war. Something to note was that the available Ta 152s were gathered together in only the one unit - Stabstaffel JG 301. The Stabstaffel consisted of both H-0s and H-1s but never had more than 15 aircraft in service. The squadron was firstly based at Alteno, then at Neustadt-Glewe in Mecklenburg - northern Germany. However you could make this as a "war booty" prize at the war's end with some alternate decals - at least these are a little better documented on film. Zoukei Mura provide a large multi-optioned decal sheet in the same way that a company like Dragon might for one of their tank kits. There are several different numbers in alternative colours for the one aircraft instead of set decal aircraft codes for just one aircraft. (“Make use of the machine numbers freely as you wish” is written in Japanese text on the sheet.) This gives you a fair amount of choice and independence with your chosen markings and although there is a colour choice picked out in the instructions you are pretty much left to your own devices after that. 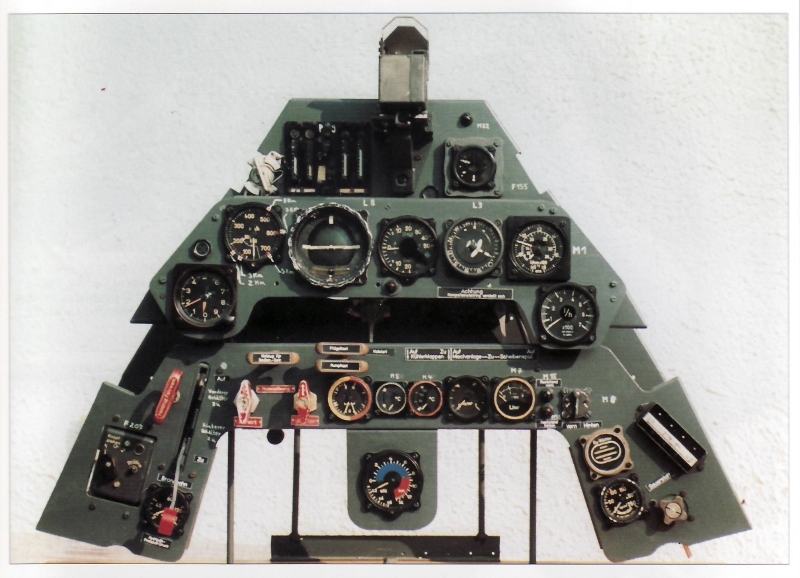 The whites on the sheet are not opaque, the register of even the smallest printing is spot on and the details like the cockpit dials (as one piece or in separate dials), the aircraft stencils and propeller spirals are very helpful to the modeller. 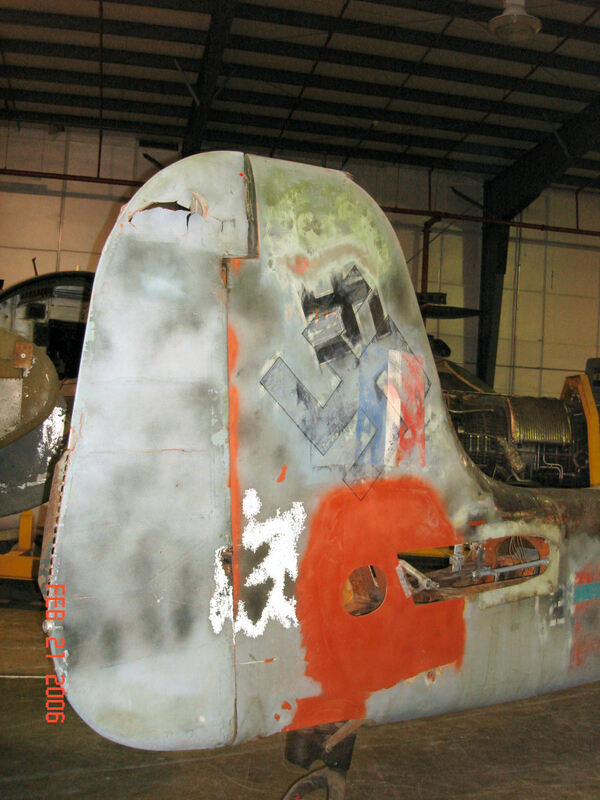 You need not bring your own swastikas either as these are supplied in two parts on the decal sheet. Although I am not sure who printed these decals (it does not say) I found the printing quality is excellent, even decals for the dashboard gauges and cockpit side panels. The canopy masks are supplied in Vinyl and this is great for modellers who don’t like to make their own. You can see here I have pulled off the outsides to reveal the mask inside in light blue. Well there it is – after some close comparisons to the H-1 kit and the real thing at the NASM we have seen some worthy additions and refinement from the base H-1 kit. The changes are not going to rock your world in their radical nature, but they are indeed an improvement on what was already released as well as a more accurate H-0 model kit. Some might not understand the virtual re-release of the H-1 model kit with the subtle transformations of the moulding and new plastic parts. I think this kit is a great deal more than a “pointless re-pop” as I have heard it called once in forums. I can't understand criticism of a model company that spends their own time and money on something that is due to be a bigger winner for the fans than their own bank balance. If you think this kit is not worth it then don’t buy it. But don't knock them for trying to improve it and bring out a new marque. I applaud Zoukei Mura for going to the lengths of sharpening the detail of the kit and adding the extra parts needed to recreate this rarer H-0 variant. It’s a great model in its own right, and a worthy adjustment/ addition from the other H-1 marque in this series. It’s a well put together package of a detailed kit that will look great with some skillful modelling. You can get this new kit directly from Zoukei-Mura or their distributors worldwide. Thanks to them for sending this kit for us to review.